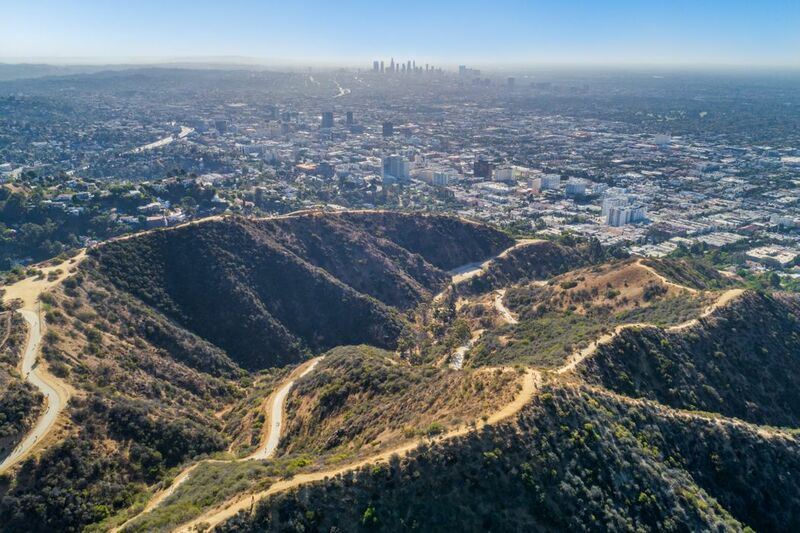 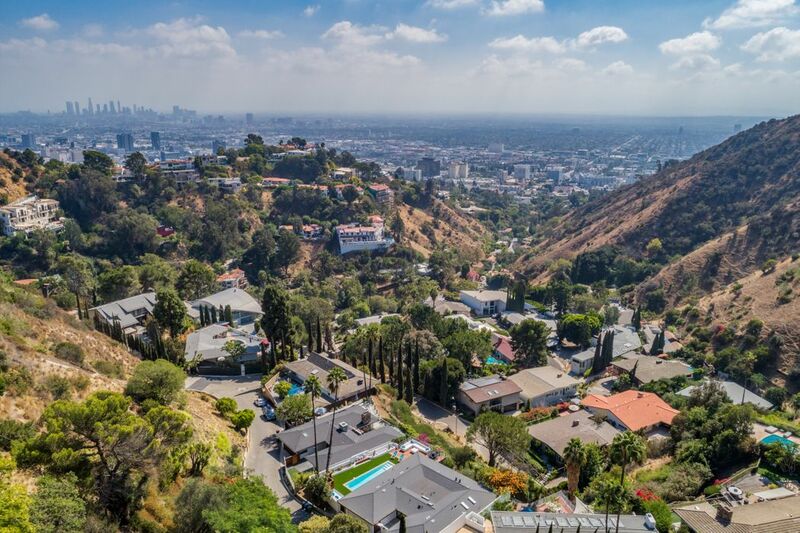 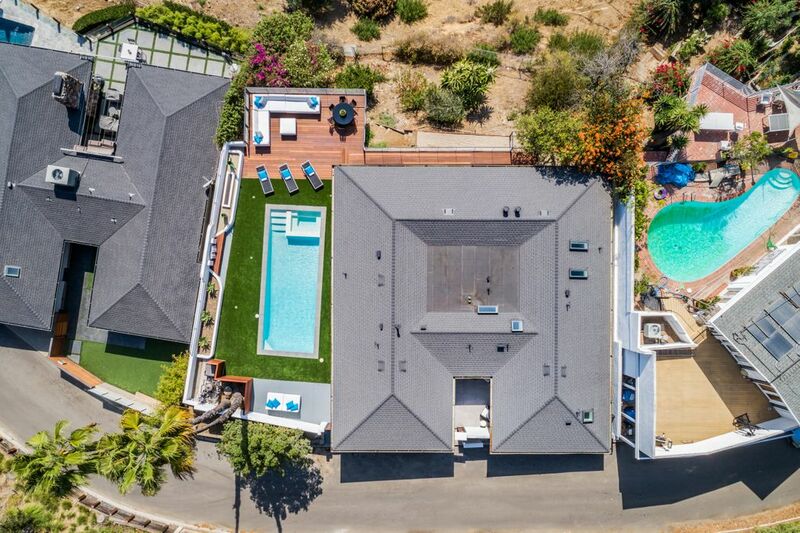 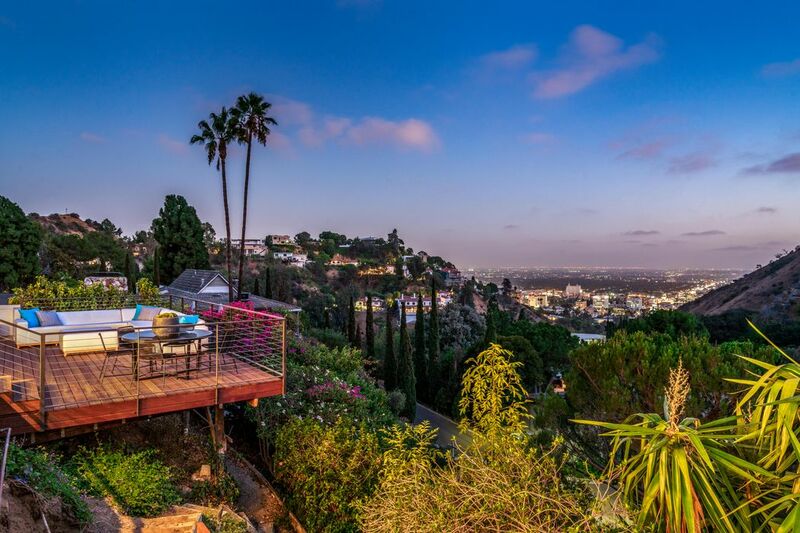 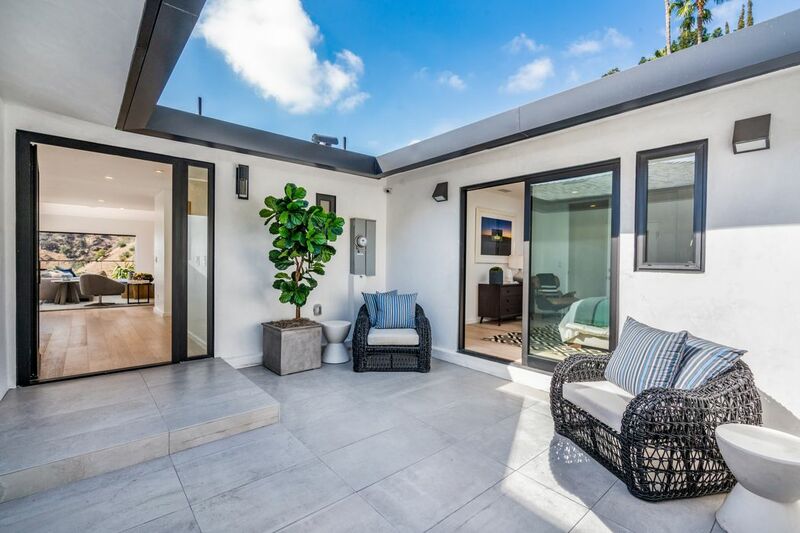 7179 Chelan Way, Los Angeles, CA 90068 | Sotheby's International Realty, Inc.
$2,999,000 3 Bedrooms3 Full / 1 Partial Baths2,309 sq. 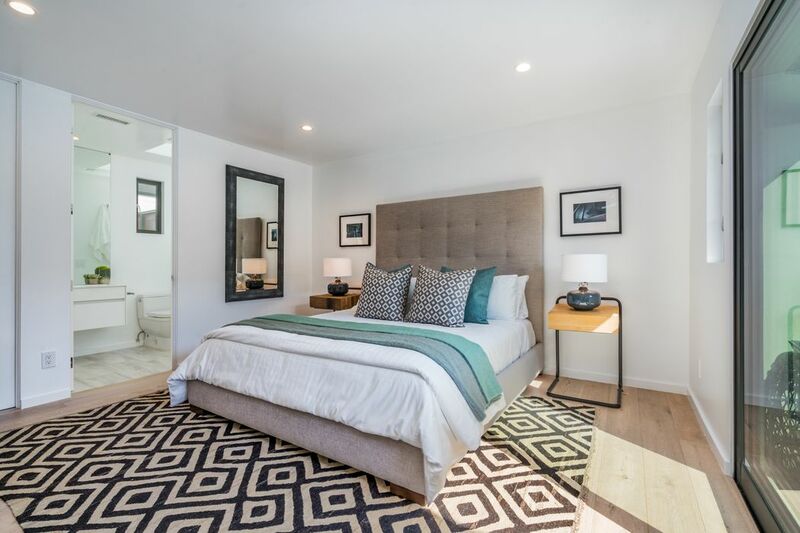 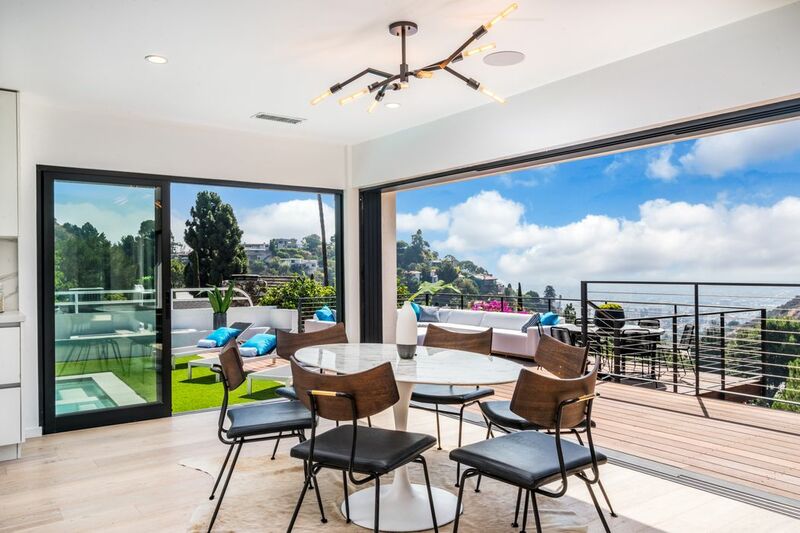 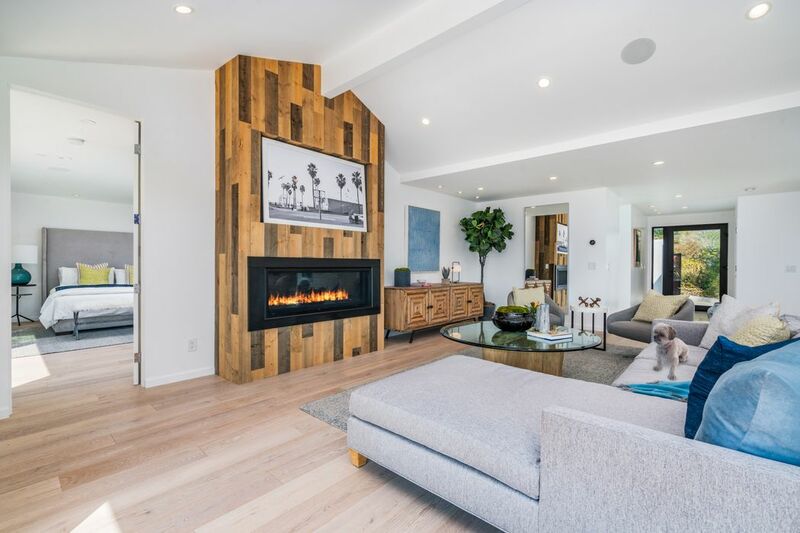 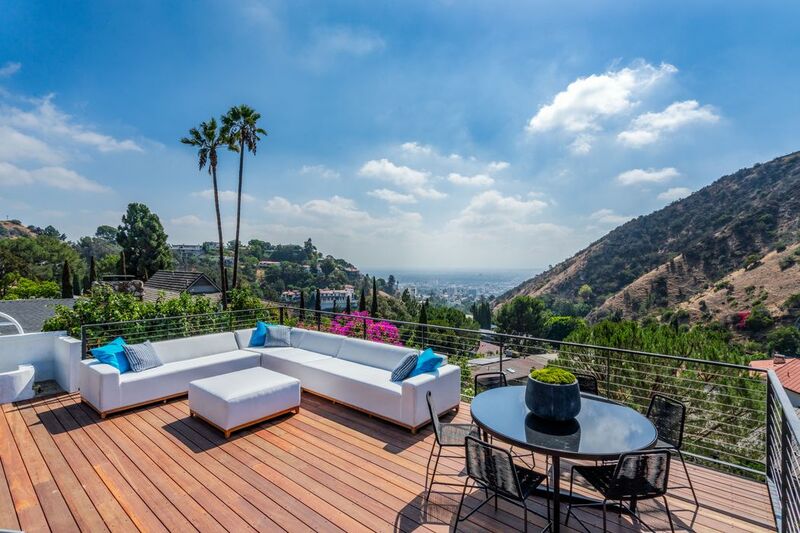 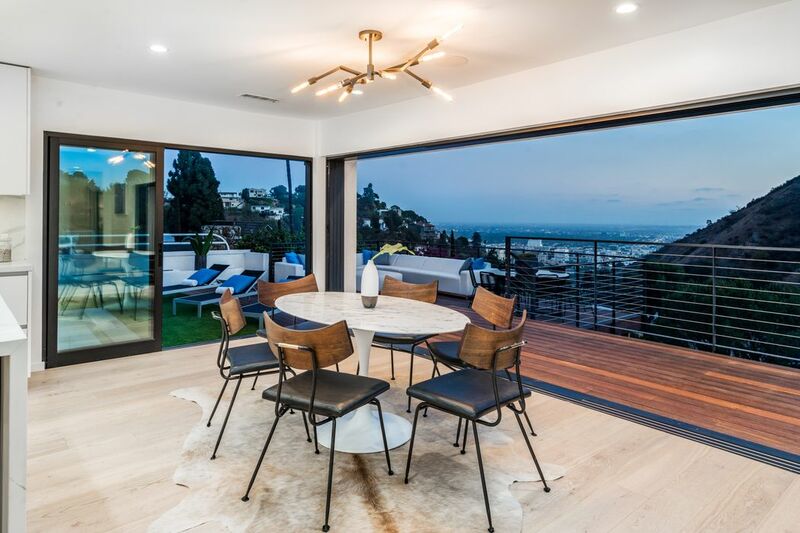 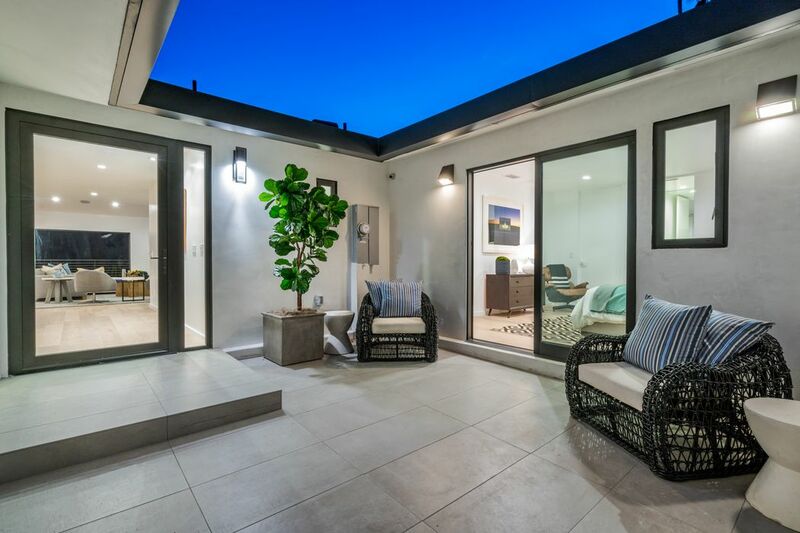 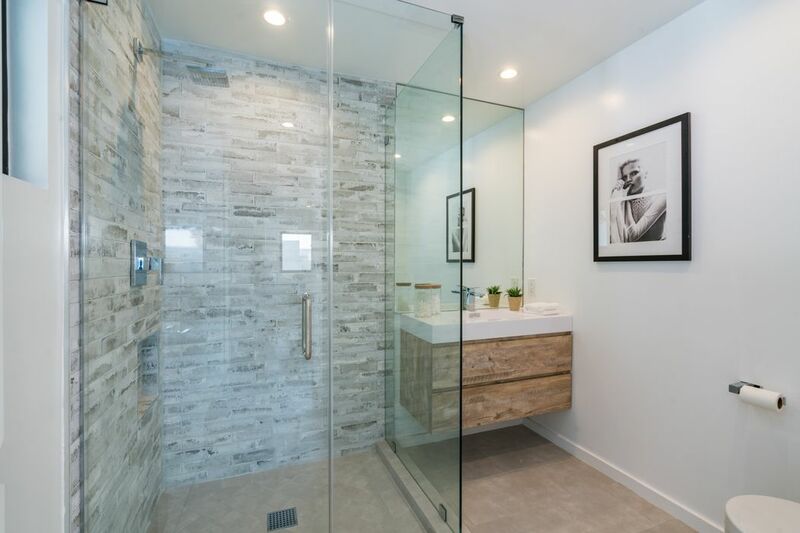 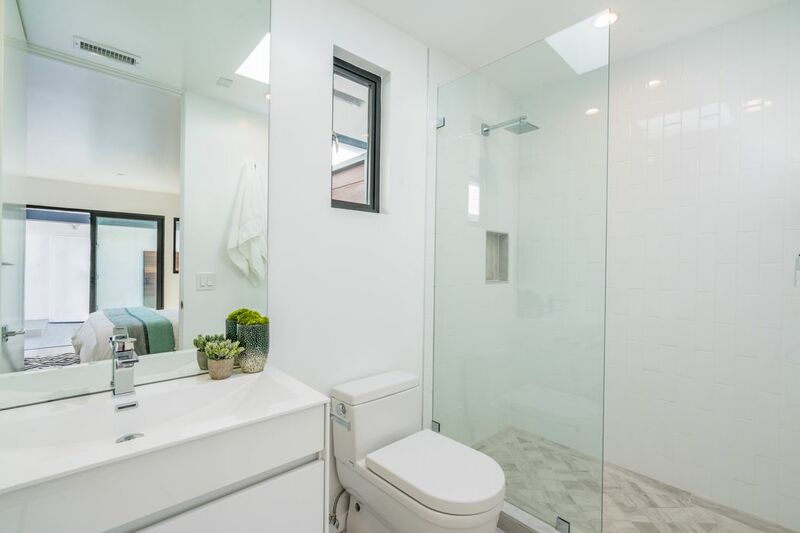 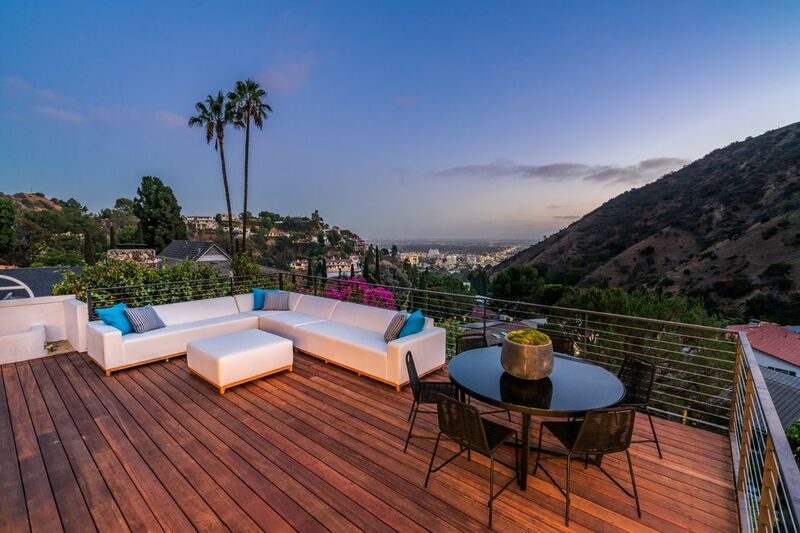 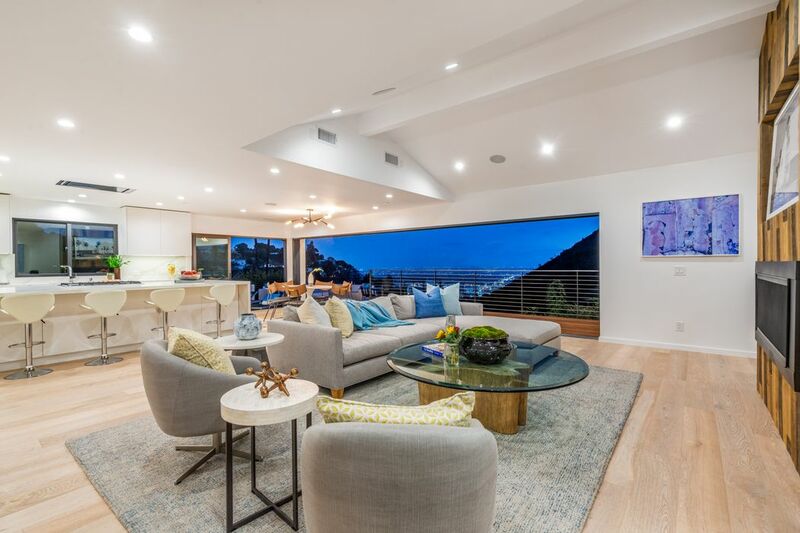 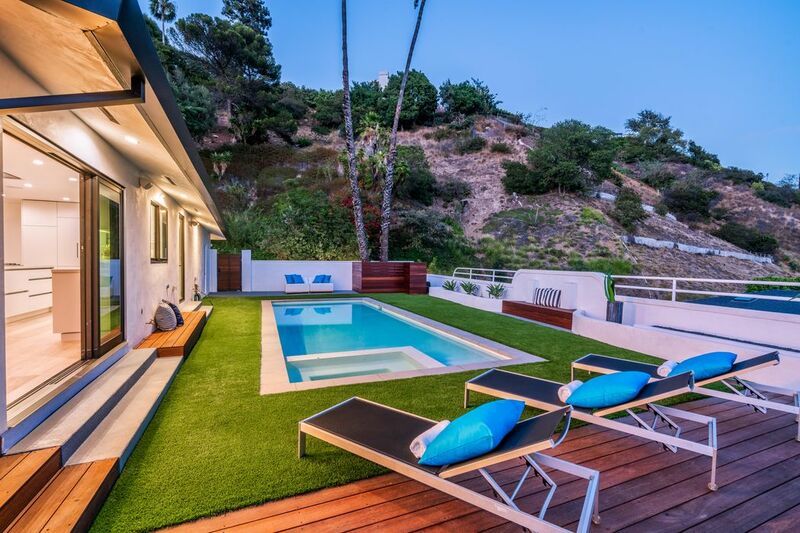 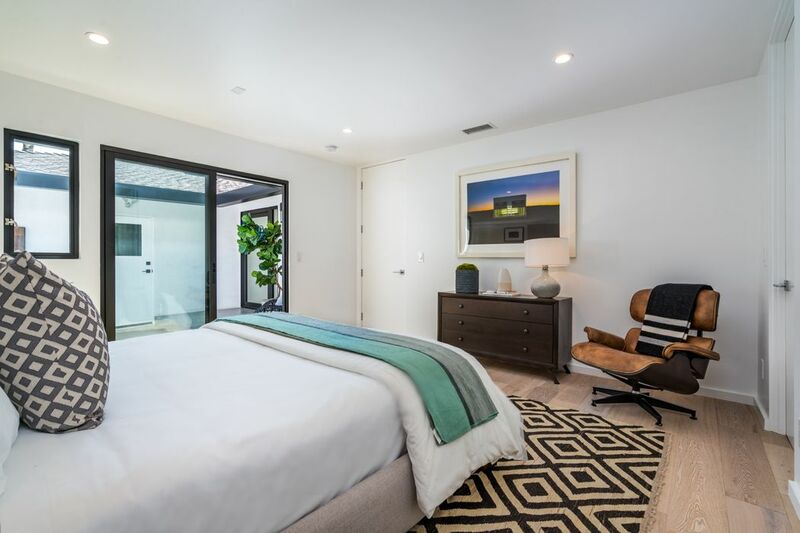 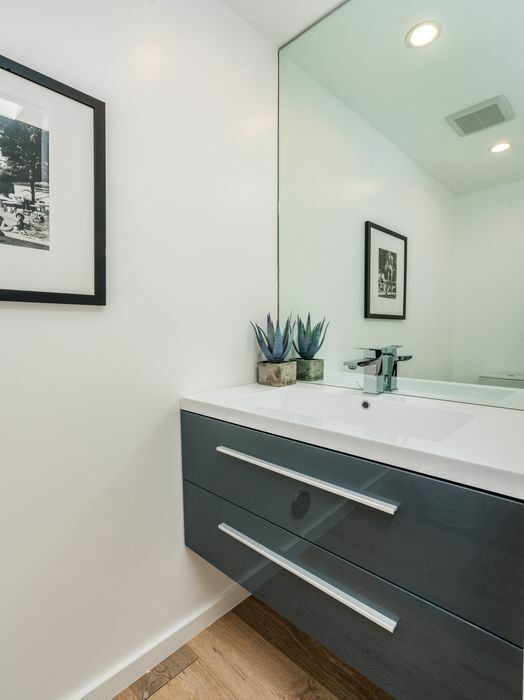 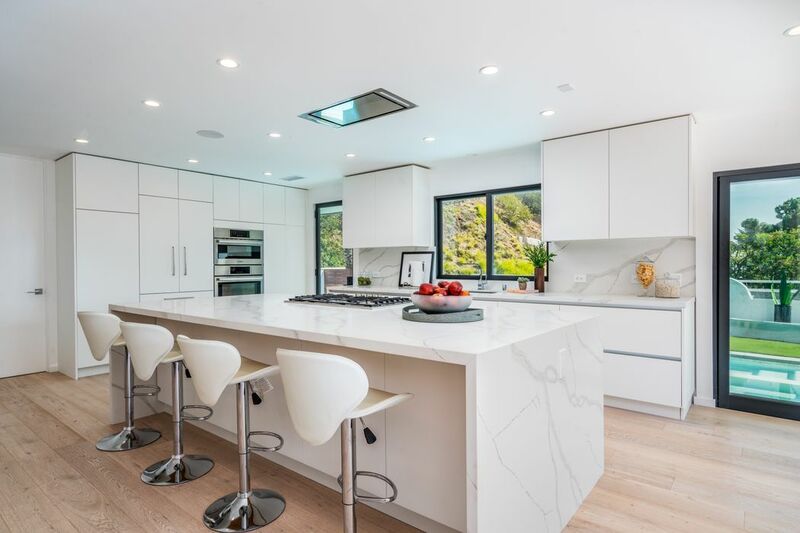 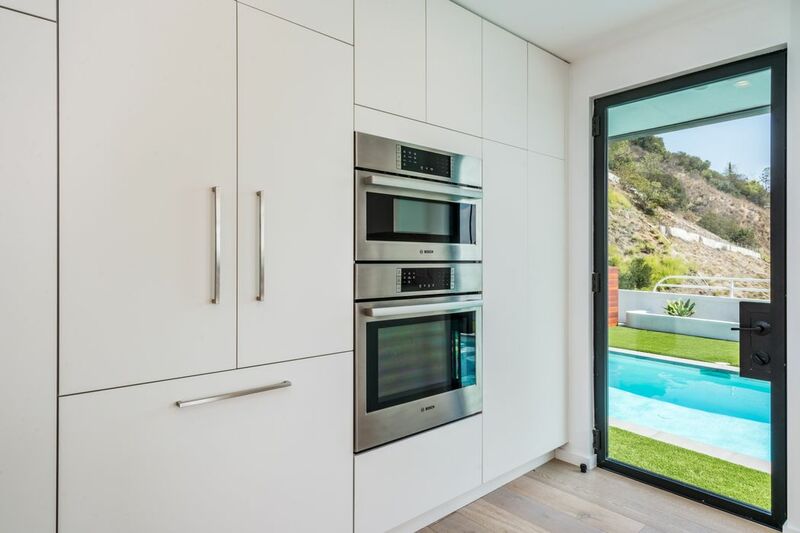 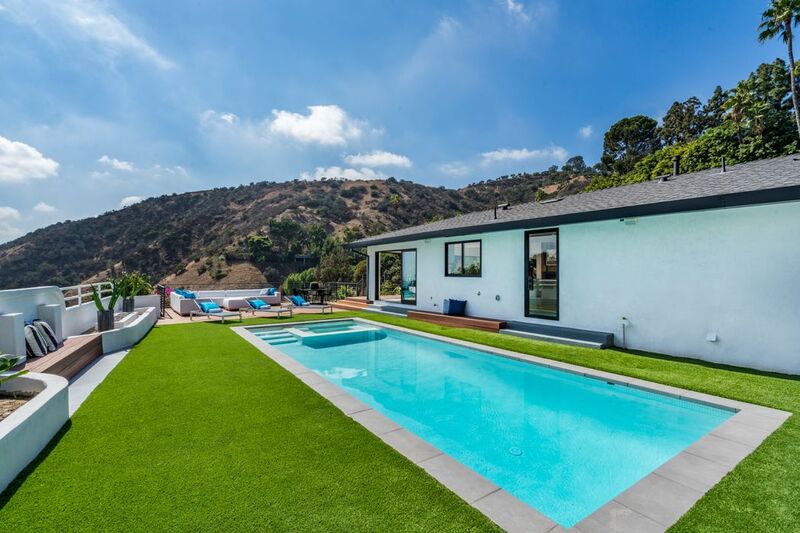 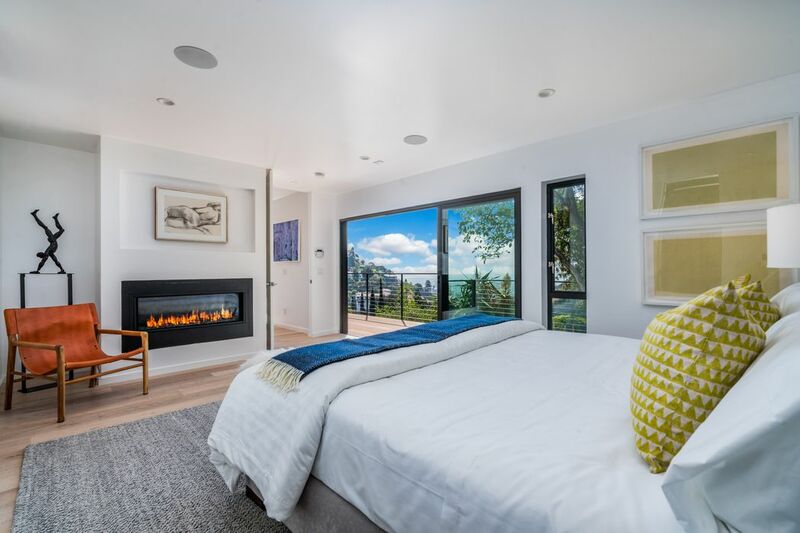 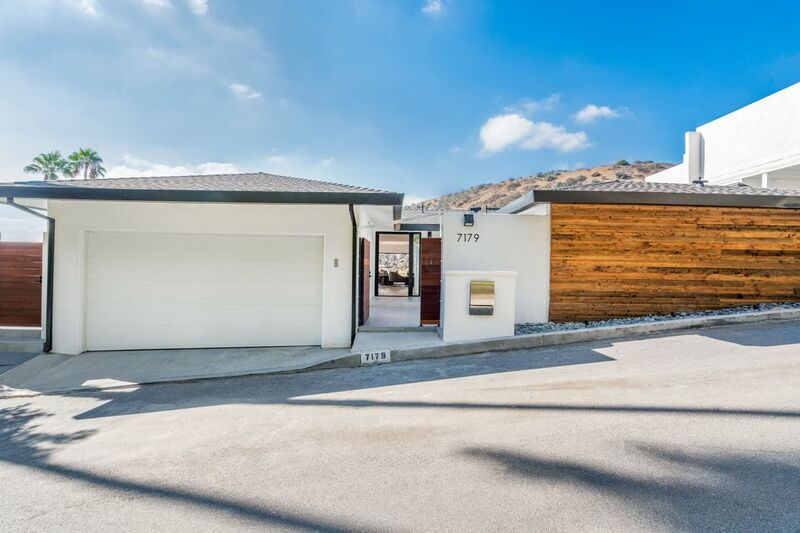 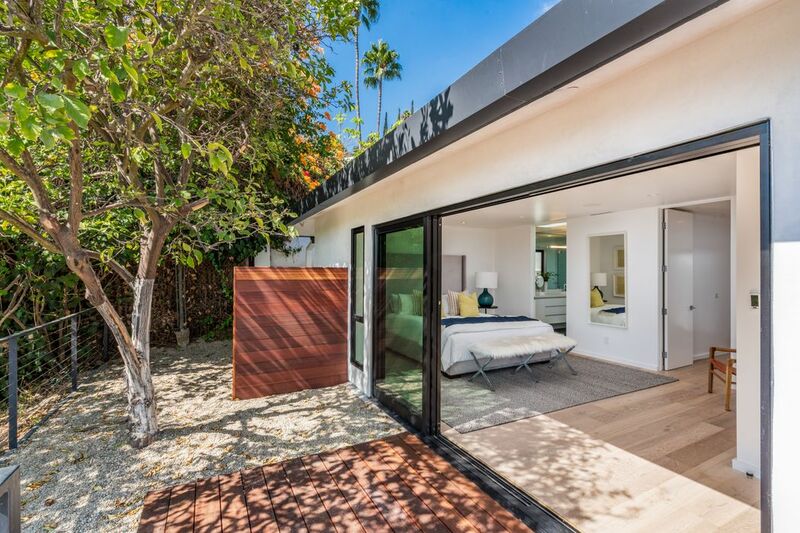 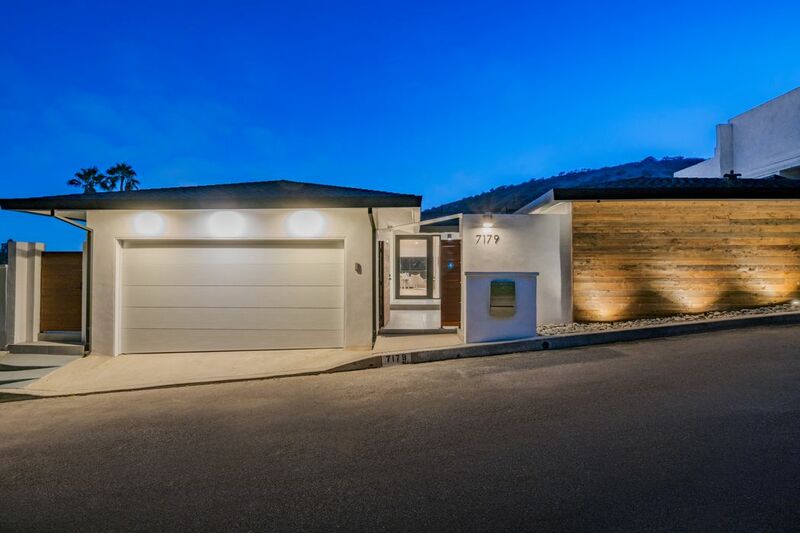 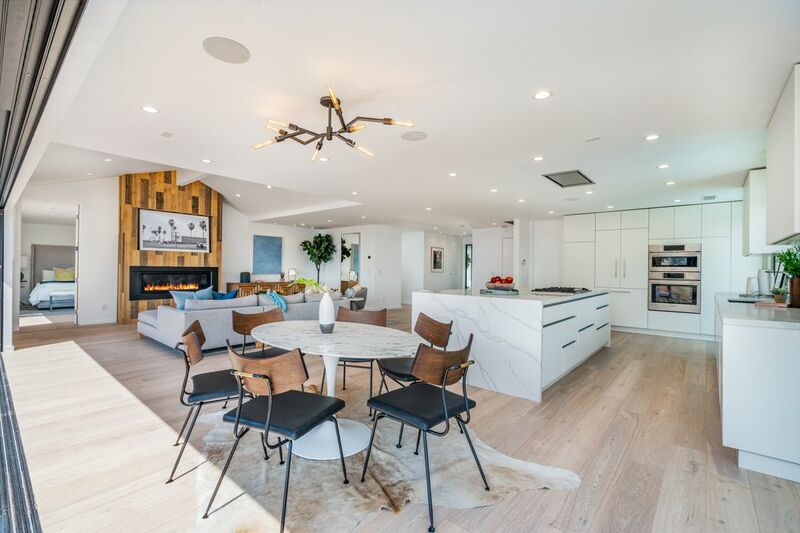 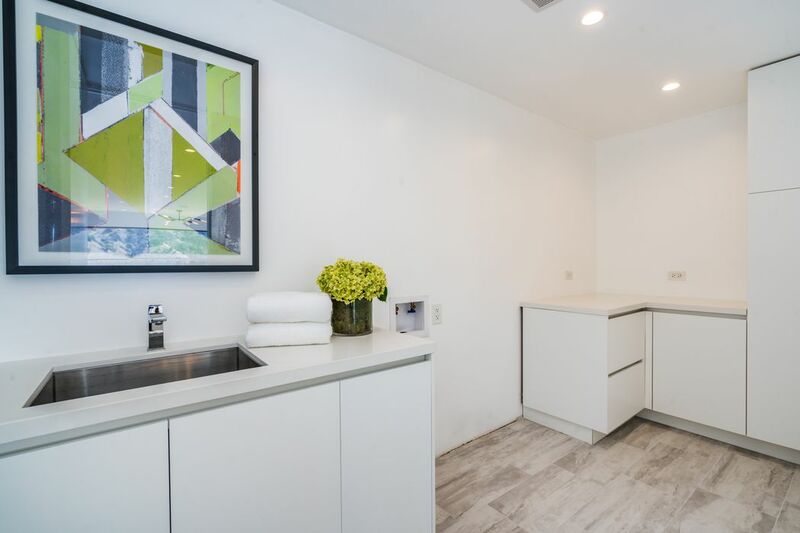 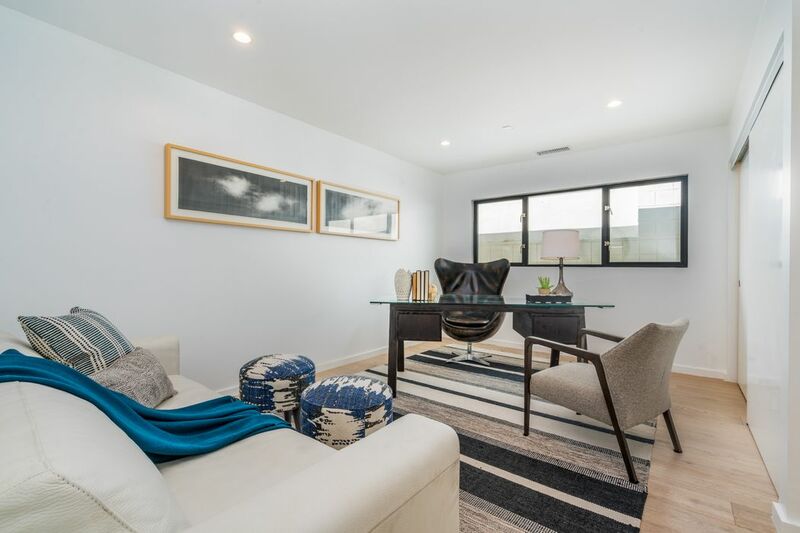 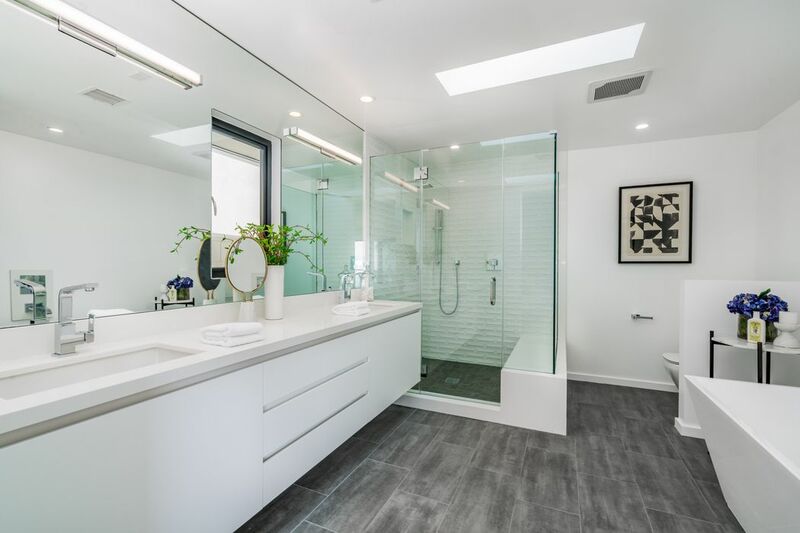 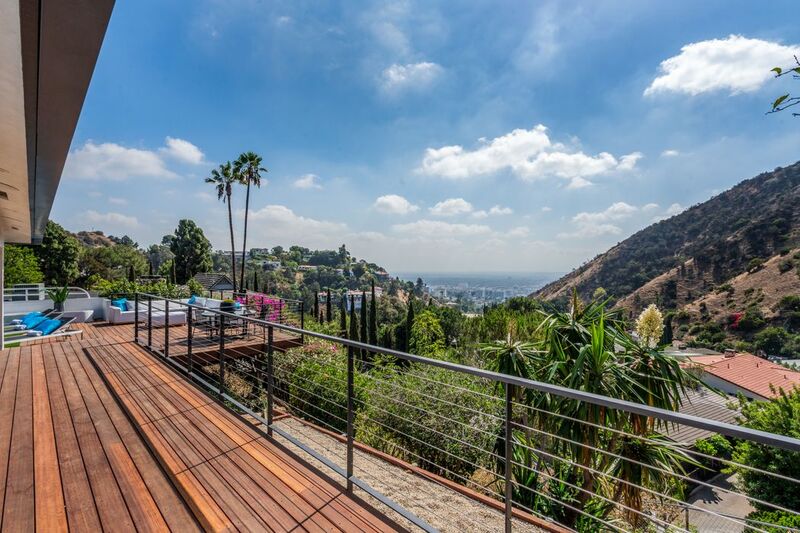 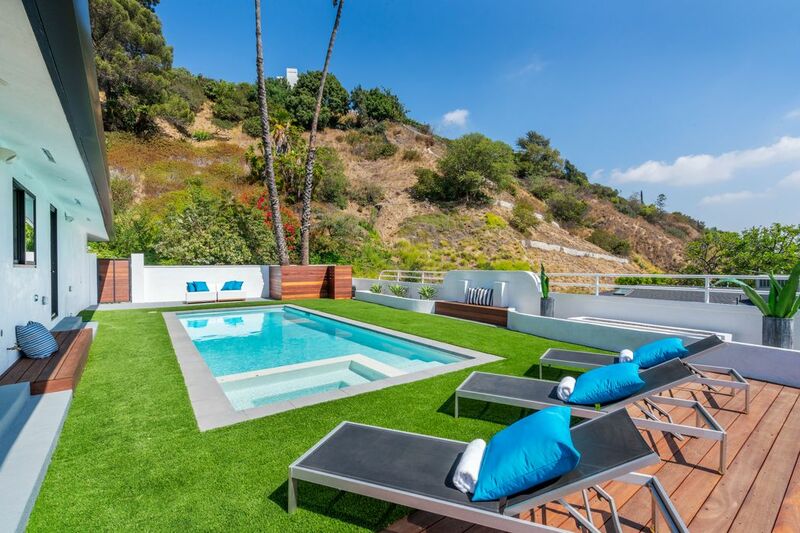 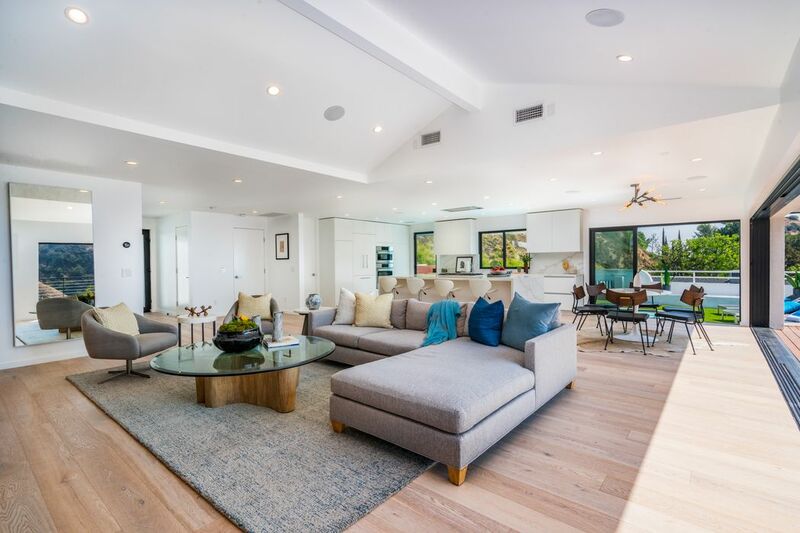 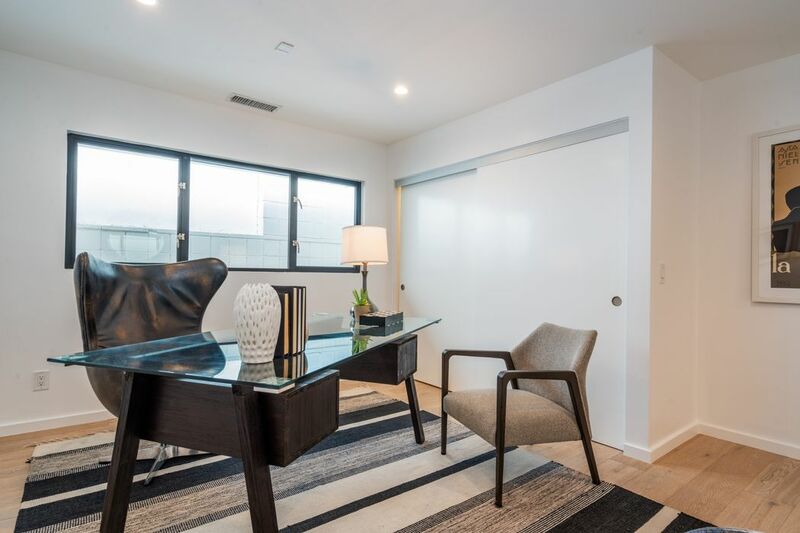 ft.
Sensational remodeled Contemporary in the Outpost Estates at the end of a quiet cul-de-sac that checks all the boxes for the modern Buyer. 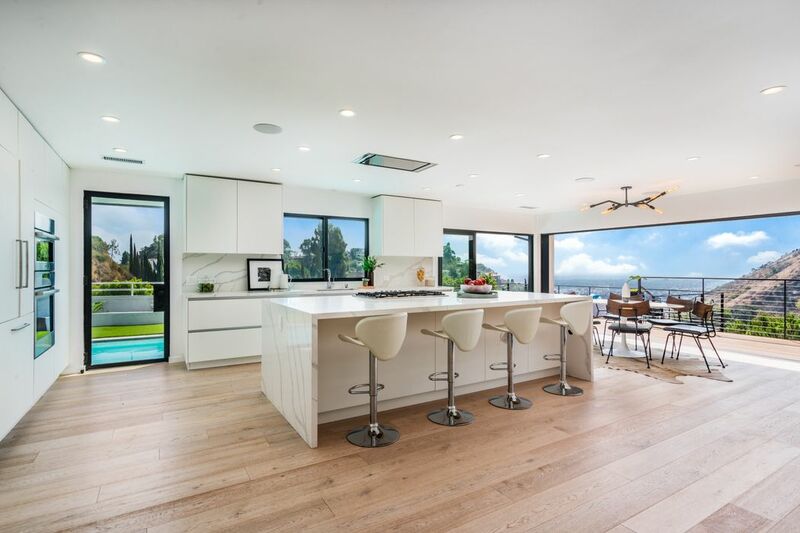 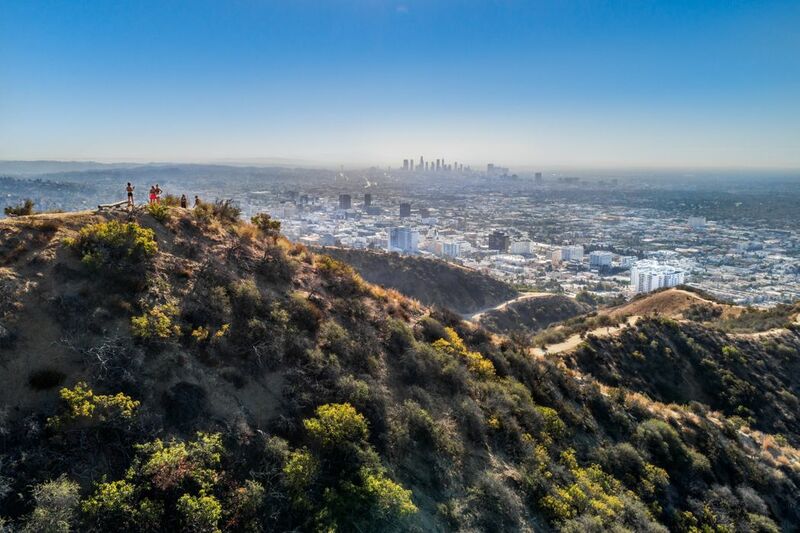 Clean, simple lines with a touch of modern farmhouse appeal wrapped in a panorama of city and canyon views for privacy, inspiration, soft blue skies and scintillating city lights. 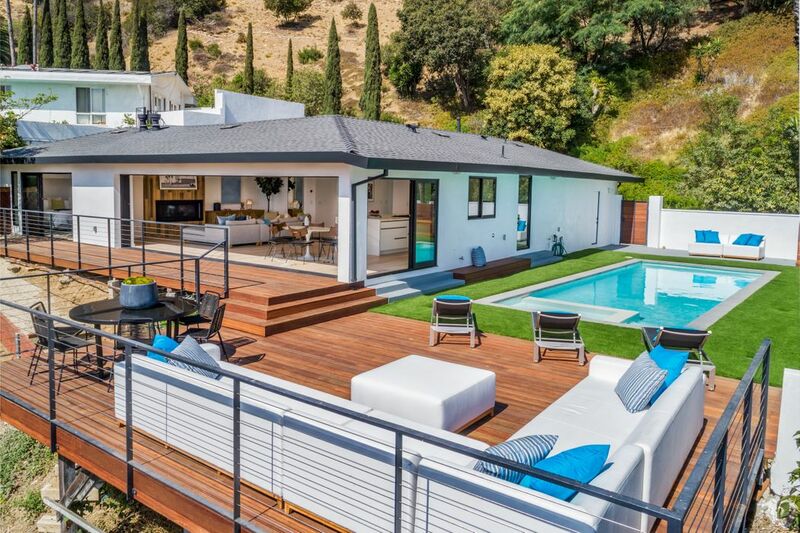 Fabulous single-level indoor-outdoor flow for ease of living and private, large scale entertaining. 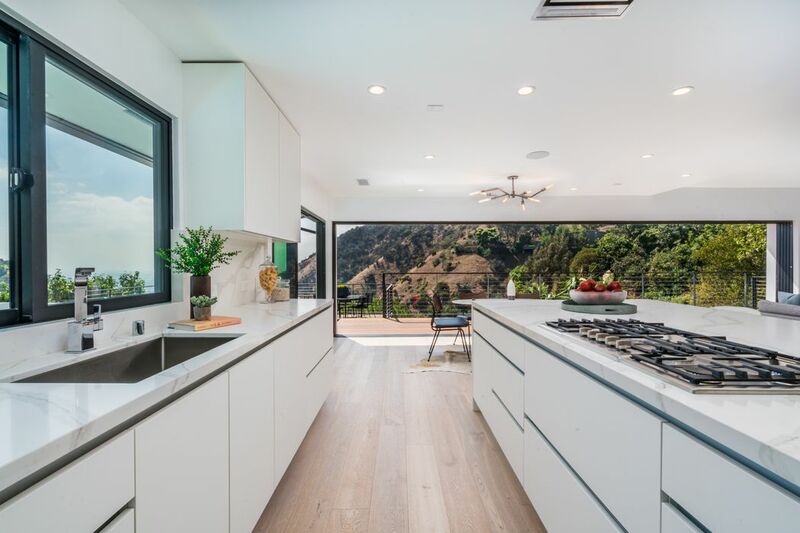 Open, bright white kitchen with quartz countertops, custom cabinetry and stainless steel appliances. 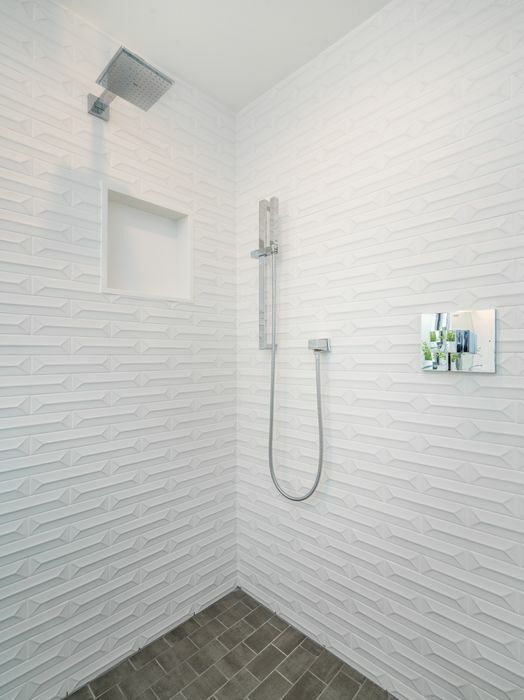 Equipped with integrated speakers and security to unwind the minute you walk in the door. 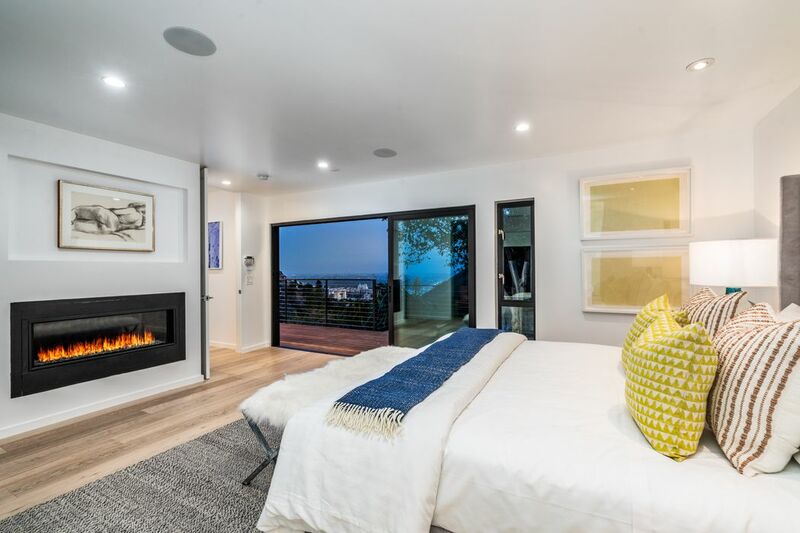 Saunter to your master suite with a walk-in-closet, fireplace and soaking tub. 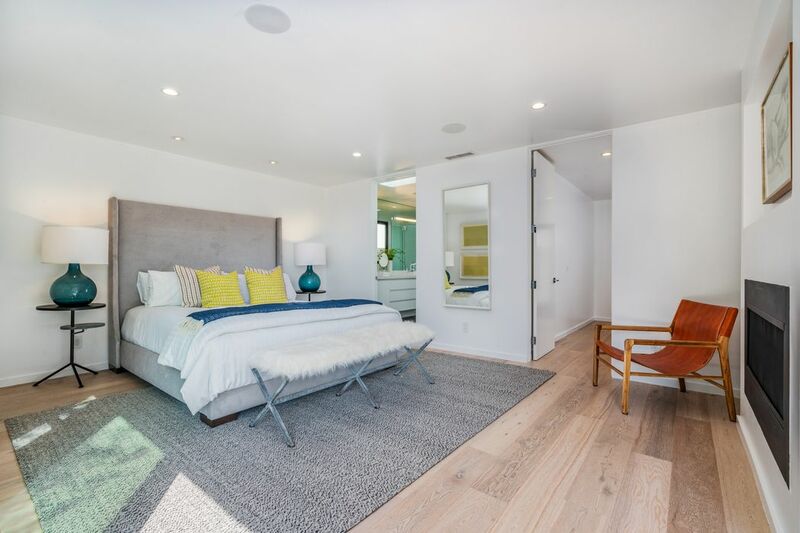 Two additional bedrooms in separate wing of home are equally outfitted with sleek finishes and abundant natural light. 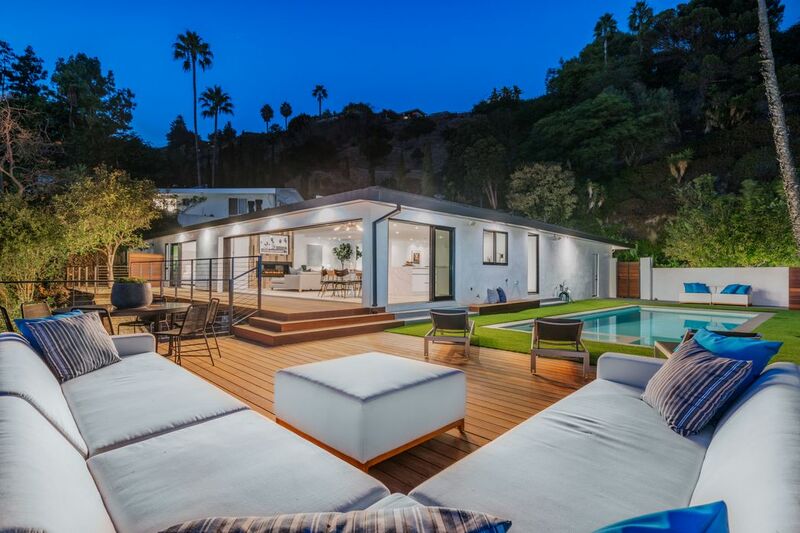 Sliding glass pocket doors open to an enchanting grassy backyard studded with mature palms and pool and spa. 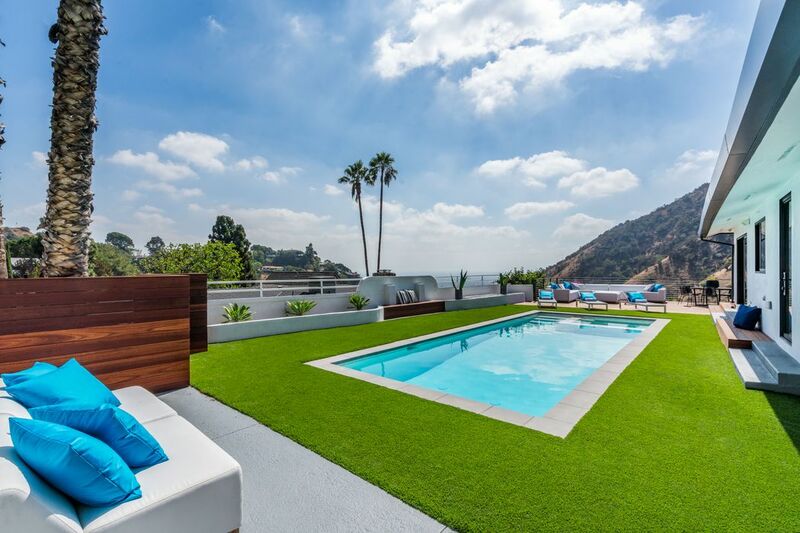 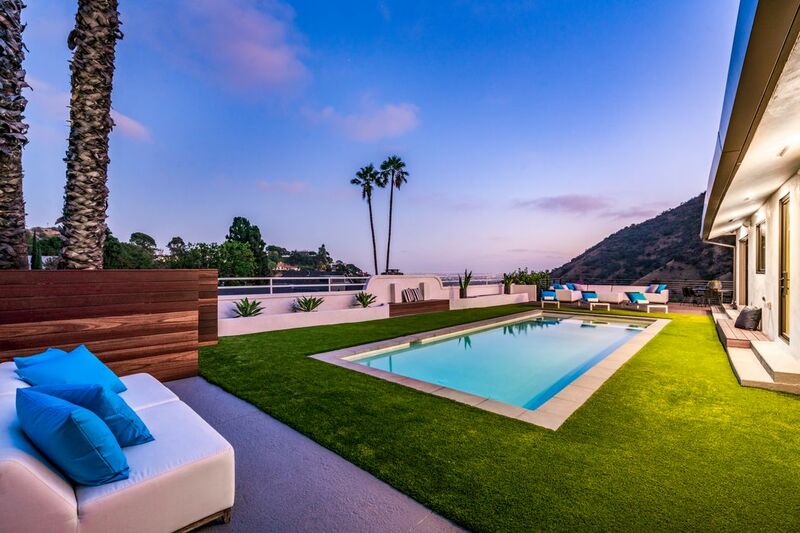 Iconic California living. 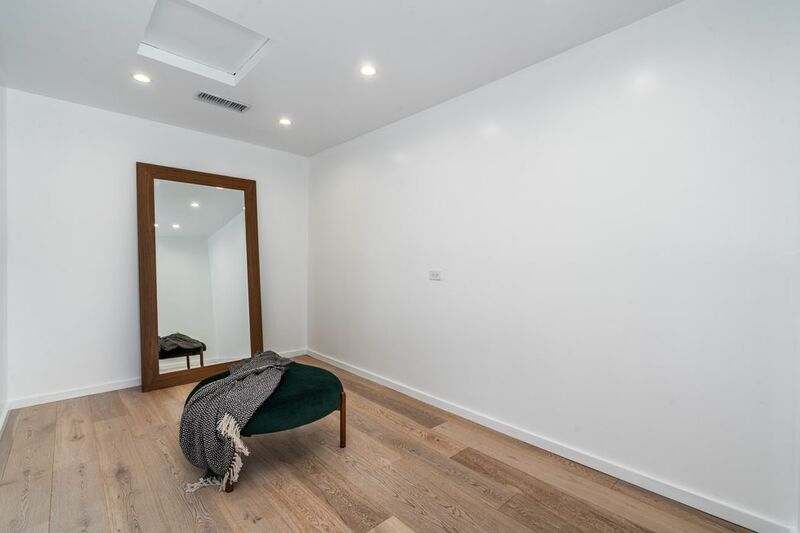 Sure to captivate the most discerning buyers. 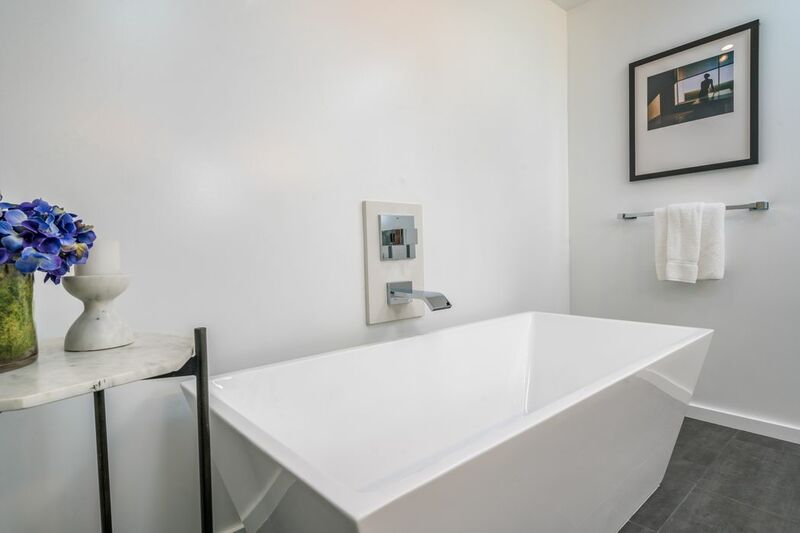 Will go fast.